Christopher Moran was born in 1982 and raised by the sea in Weymouth, Dorset. He has since become a countryside dweller, having spent the last 13 years at Warwick University, first as a student and now as an Assistant Professor of US National Security in the Department of Politics and International Studies. His research has been funded by the Arts & Humanities Research Council, and most recently by the British Academy. He is a frequent visitor to the United States for research purposes, and in 2011 was a Kluge Fellow at the Library of Congress, Washington DC. 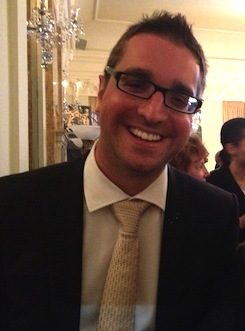 He is the author of Classified: Secrecy and the State in Modern Britain, published by Cambridge University Press in January 2013. He is currently working on two book manuscripts. 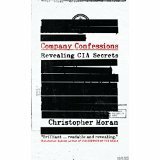 The first tells the largely untold story of the CIA’s struggles with whistleblowers; the second concerns the relationship between Richard Nixon, Henry Kissinger and the CIA. His research on British and American secret services has been featured in the Guardian, Telegraph and the New Statesman, and has led to several collaborations with BBC Radio 4. In 2012, he was a historical consultant to the International Spy Museum in Washington DC, assisting on the popular exhibition ‘Exquisitely Evil: 50 Years of James Bond Villains’, sponsored by the makers of the Bond films, EON Productions. Andrew was recommended to me by my friend and long-time mentor, Richard Aldrich. Andrew appealed to me for a variety of reasons. One, he is an intelligence historian himself, and has successfully escorted many spy books into print, including a number of bestsellers. Two, he has a world-wide reputation for quality, meaning that there is a certain prestige that comes with being one of his authors. Finally, and most importantly, he is passionate about his job and his community of clients. 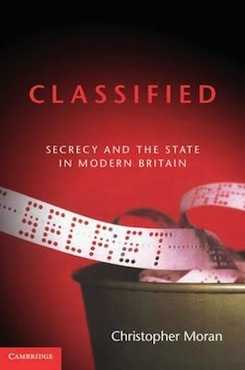 Agency author Christopher Moran has won this year’s St Ermins Hotel Intelligence Book of the Year for his Classified: Secrecy and the State in Modern Britain which looks at government attempts to stifle public discussion of intelligence matters. He was awarded the £3,000 prize at an awards ceremony yesterday.